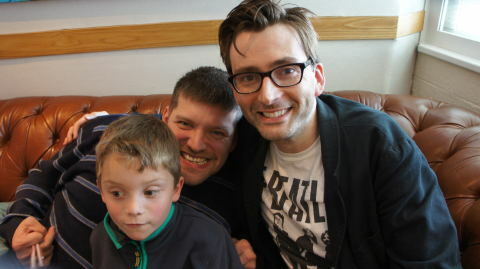 David Tennant provides the voiceover for the documentary which was originally called Disabled Parents: Are You Having A Laugh? before the name was changed to Jokes, Nappies and Wheelchairs but is now called We Won’t Drop The Baby. It will be broadcast on Sunday 25th March on BBC One as part of BBC's Disability Season. It will be shown at 10.25pm in England, 10.45pm in Northern Ireland and Scotland and at 11.05pm in Wales. The programme focuses on comedian Laurence Clark and his wife (who are both disabled) as they prepare for the birth of their second child.